A challenge was presented when Wessex Water needed to carry out a programme of improvements to its sewage treatment works (STW) in Salisbury but needed to keep the site live and minimise any disruption. Temporary overpumping was required to deal with all incoming flows to Petersfinger STW from the surrounding area of up to 900 litres per second. The site serves a population of around 60,000 people. The pumping system also had to be capable of handling night-time low flows of 200 litres per second. Selwood was able to provide the ideal solution for this complex operation, which also required environmentally-robust technology given the STW’s proximity to the River Avon. Selwood’s expert team worked in close co-operation with Wessex Water’s site team to devise a bespoke solution for the demands of the application. The solution also had to take into account the lack of space available because the over-pumping regime had to be placed alongside the main haul road into the works and utilise a very narrow lay-by. A temporary ramp was then needed to cover the discharge pipes going across the haul road and discharge into the storm tank. The constraints of the site ruled out the use of traditional end suction diesel pumps and traditional electric submersible pumps. Following a full-site inspection, it was agreed for Selwood to provide four NZ electric hybrid end suction pumps – each capable to up to 300 litres per second. Unscreened sewage was being taken from a temporary riser pipe constructed by Wessex Water in advance of starting on-site. Selwood’s installation team used a manifold connected to this pipe to create four separate suction lines to Selwood’s NZ end suction electric pumps, which are renowned for their solids handling capabilities and ease of operation. Discharge pipework was then laid across the road and covered with the temporary ramp. Selwood’s electricians also worked closely with the senior commissioning engineer to install intelligent pump technology, including setting up the ultrasonic and variable speed control panels. Phil Ingleheart, Framework Manager for Selwood, said: “Wessex Water benefitted from an environmentally-friendly and very compact end suction, auto prime electric pumping regime within the very restricted space available. “Our installation team integrated with Wessex Water’s own site team to complete a difficult and challenging project by working together. 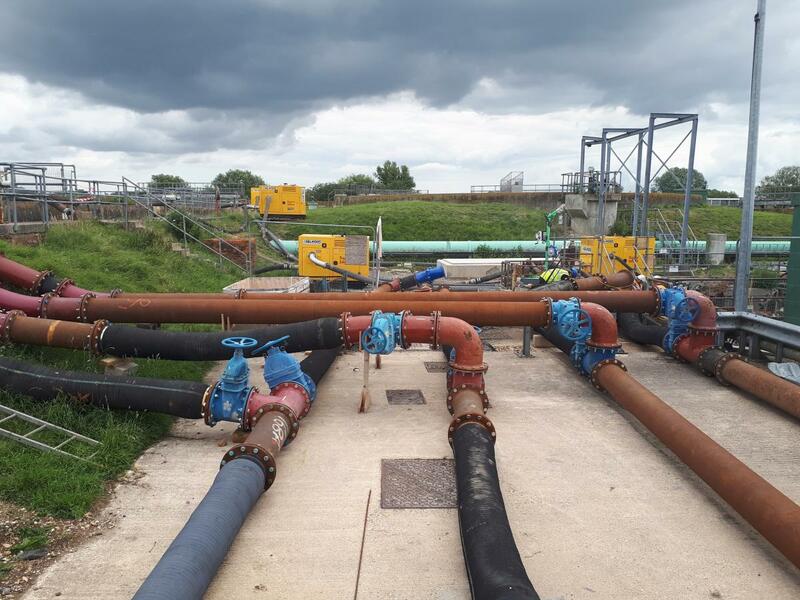 He added: “Through the overpumping of flows, Wessex Water was able to isolate the inlet works from transferring flows which enhanced its health and safety performance and productivity.